How do you become more spiritual? What are ways to be spiritual every day? Spirituality is such a unique and beautiful place to explore, but it can also be so confusing. It’s easy to get overwhelmed and go down some – let’s be honest – weird rabbit holes; when the truth is, spirituality is actually very simple. It feels like there’s something missing, but it’s hard to articulate what that might be. 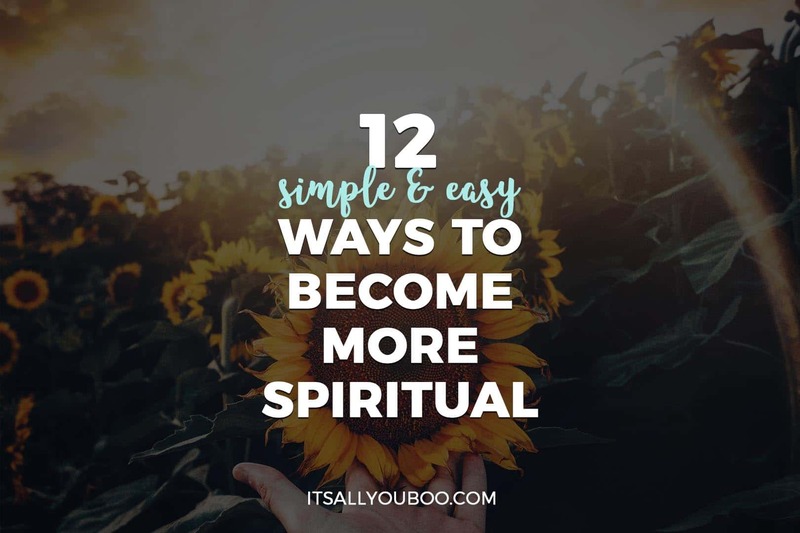 So in this post, I want to break it right down and show you how to dive into your spirituality and become more spiritual. 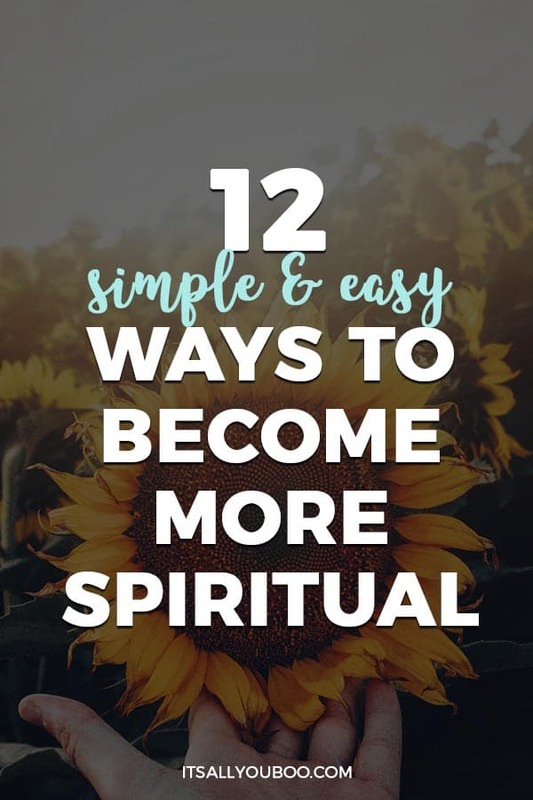 First off, let’s start with what spirituality actually is, then we’ll discuss 12 easy ways to practice your spirituality. Spirituality is the connection of your spirit to the spirit of all others and beings and to the spirit of ‘the all’, which you might call God, the universe or the source. Let’s look at who we are from a spiritual perspective. First, we have the Self, also known and the mind or the ego. This is the identity part of you; who you identify as – woman, man, young, old, married, single, as a parent, and so on. This layer also includes our likes, dislikes, thoughts, and emotions. Next is consciousness. This can also be described as our higher self or soul. Finally, we have the part of us that is connected to ‘the all’: God, the universe, the source, the spirit of everything. 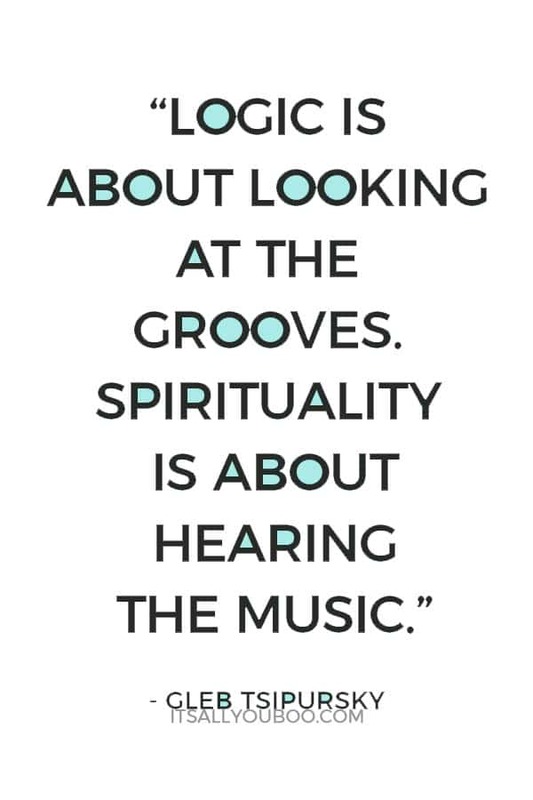 What we are trying to do with spirituality is quieten the self (or put it to the side for the moment) to tune into our soul and connect to the universe. And as you can imagine, that connection is incredible. You’re able to see, know and experience what you don’t usually in your day to day life, and it will leave you changed as a person. The big question is how do we do this? How do we become spiritual? Well, you’re already spiritual by default. You’re a spiritual being; therefore, you are spiritual. It’s really the connection we’re cultivating. This isn’t your typical list of ways to be more spiritual, it isn’t all crystals and tarot cards. Or even going to places of worship and just meditation. Spirituality is more than that, it’s nurturing your connection to something greater than you. Spirituality doesn’t mean just one thing to all people. Here are 12 ways to become more spiritually aware. Understand that your connection is completely unique. The terms you use (like the universe, God or the source), the concepts that resonate with you and the tools, practices, and rituals you use are all unique to you. There’s no one way to be spiritual. Some things that resonate strongly with others may do nothing for you. It doesn’t mean you’re not spiritual, it just means that tool or practice doesn’t gel with you. It might in the future, or it might not – that’s fine. The funny thing is that a lot of spiritual practices don’t seem ‘spiritual’ on the surface, but with the right person they become a place for genuine and lasting spiritual growth. An example of this is gardening. You might hear this and think of pulling weeds, but another person sees a relationship with the earth, the elements, seeds, growth and potential, struggle and survival, preservation of the future, a passing on of traditions, a connection with ancestors and of course, nourishment of our body. If it feels like you’re connected to something bigger than yourself, that is your spiritual connection. It might come in the form of surfing, hiking, being a parent, painting, creating art, playing music or dancing. Think about what it is you want to achieve, and how you see spirituality playing a part in your life. Do you want guidance? Ideas? Resources? Do you prefer signs and subtle messages, or do you want a full two-way conversation? Is it something you tune into now and then, or do you want a connection more or less constantly? Take some time to decide what you want your connection to look and feel like. Explore the tools, concepts, rituals, and practices that resonate with you. Not everything will, and that’s fine! One thing I will point out here is to steer clear of appropriating cultures that are not your own. Colonization has stripped spirituality from Western and indigenous cultures from all around the world. Indigenous cultures have done their best to preserve, keep and pass on their traditions to their people, but it has been a long and bloody road. For the last couple of thousand years, Western culture has predominantly been Christianity, and what happens for a lot of Westerners who feel like Christianity isn’t a fit for them, is that they turn to people who look very in tune with an intuitive and natural form of spirituality and try to adopt what they see. Rather than that, explore your own heritage and lineage. Trace your family roots back and see where they take you. Explore the tools, rituals, and practices of your heritage – you might be surprised at what you’re naturally drawn to. And if there are tools that you use in your own private practice, make sure you’re buying them directly from the people they come from, rather than a mass-produced version. Pay respect to the customs and cultures you’re learning from! Remember, we need to bypass our Self to tune in. We need our mind to quiet down so we can hear our soul. And the key for that is meditation. Meditation doesn’t have to be hard – the whole ‘sit in silence and think of nothing’ style of meditation is pretty expert level. Try a guided meditation instead. It gives your mind to focus on something without it being too overactive. Your intuition is the strongest tool you have. It will be the way the universe gives nudges to you along the way, and the louder (and clearer!) it speaks, the better. Encourage your intuition by doing this: Try consciously tuning in to see if you get a feeling, image or ‘knowing’ about something. The ideal time for this is during meditation, or just before you go to sleep. I do a lot of my tuning in before I drift off as it’s the perfect environment – quiet, dark and I’m relaxed and comfortable. So you’d tune in by thinking of the situation, asking for a little more information, annnnnnnd wait for a few moments. The information may come in the form of an image, a feeling, a clear message or a knowing. The difficulty is in the waiting. When you start out, it’s so hard to not fill that space with your thoughts, worries, fears, hopes or random scenarios. It’s also tempting to want to search for the answer, rather than let the answer come to you. It’s so hard to just relax…and wait. The only way to get better at this (and you will get better!) is to practice. Did you find you had to wait a little while for a thought to come? That’s the state you want to be in! That’s how it feels to clear your mind and let your intuition flow. So you could change the line to ‘I wonder what intuitive message I’m going to get?’ And then wait. Again, it will get easier with practice! It’s ok if you don’t get anything the first few (or more) times you try it. It’s about practicing being in that state. Nature is a living, breathing, calming space. You’re surrounded by living energy, but it’s gentle and peaceful energy. You draw from this and feel more calm and peaceful yourself. Cities are also living, breathing spaces, but it’s a concentration of human energy. As you know, people aren’t always calm and gentle, so the energy you’re surrounded by can be chaotic, fast-paced and stressed. It’s important to rebalance yourself as often as you can. A park will do if you live in the city. The universe communicates with you in signs. Take note of recurring themes or things that seem to answer your questions. Keep in mind that signs don’t always have to be the traditional things (butterflies, numbers) – it’s what immediately resonates with you. It’s ok if your sign doesn’t mean anything to anyone else. As for the meaning of spiritual signs, they’re completely up to you. You’ll know exactly what the meaning is – if you have to search for a meaning, it’s probably not a sign. After all, not everything is a sign – just enjoy it for the experience that it is! Remember, your Self is the layer that can make it difficult to tune into those higher levels. Working on the Self and clearing out as much baggage as you can make it easier to quieten your mind and tune in. This can be through self-reflection or through seeing a counselor or therapist. Get a spiritual reading. This can be a great way to get insights into any questions you have, uncover your abilities and work out what blocks and challenges are in your way. Take some time to think about what kind of reading you would like, and what you want to get out of it. Each reader has their own strengths, style and approach, so do your research to find what suits you. Here’s how a reading works: the reader (also called a psychic or intuitive) tunes into you and will see, hear, feel or know about whatever issue you’re working on or question you have. They way they tune in is unique to them. Some may use tarot cards (or similar) to guide them and others may not use anything at all. Some people are very skilled in picking up health issues, some tune into loved ones passed away, some work with your overall soul purpose, some work on emotional blocks and challenges, some look into past lives and some tune into your ancestral line to see how certain traits have been passed down and may be causing issues for you.  RELATED POST: What is the Law of Attraction? How Does it Work? People may cross over a few of these, but they will have strengths in particular areas. This is why it’s important to work out what you want before you find someone to work with! Have some specific questions prepared. It’s helpful to give some direction; otherwise, it’s like walking into a library and saying ‘I’d like a book, please!’ That guidance will mean you get the most you possibly can out of your session. As for finding someone, ask friends for recommendations or find someone who seems to be well recommended. Check out their reviews online (testimonials are great, but reviews are better). Anyone can learn how to do this, but you want to find someone skilled. It’s kind of like cutting hair – anyone can do it, but you want someone who actually knows what they’re doing! Make a note of insights, flashes of intuition or any experiences you have. This will come in handy during those moments of self-doubt, and it’s a beautiful way to record your spiritual growth as you develop. Practice gratitude as often as you can. You can keep a note of things you’re grateful each day, but the important thing is to feel it. It’s more than just note keeping. Genuinely feel gratitude flowing within you and pouring out. Send that feeling out to the universe – it’s a great way to align yourself and invite more wonderful things into your life. Living on purpose means that you’re actively and consciously doing the work your soul came here to do. Not only will it give you direction, motivation and focus in your personal life, but it also makes you a co-creator of your universe. Opportunities, resources, ideas, and inspiration flows your way when you’re on purpose. You’re being guided and supported by something bigger than yourself because the ripple effect your purpose has impacts so many others. (Want to know more? Here are: 8 Signs You’ve Found Your Purpose). As you dive into your spiritual side, there are three important points to keep in mind along the way. First, spirituality has nothing to do with how you look, dress or talk. If you find yourself starting to sound Ultra Spiritual, take a step back 😉 In all seriousness, how you look is how spirituality looks. You’re great as you are! Second, remember that while tools and rituals are helpful, YOU are the magical part of the equation. It all comes from you, not from a deck of cards or a pretty crystal. You are the one with the connection; the tools are simply to help you focus. 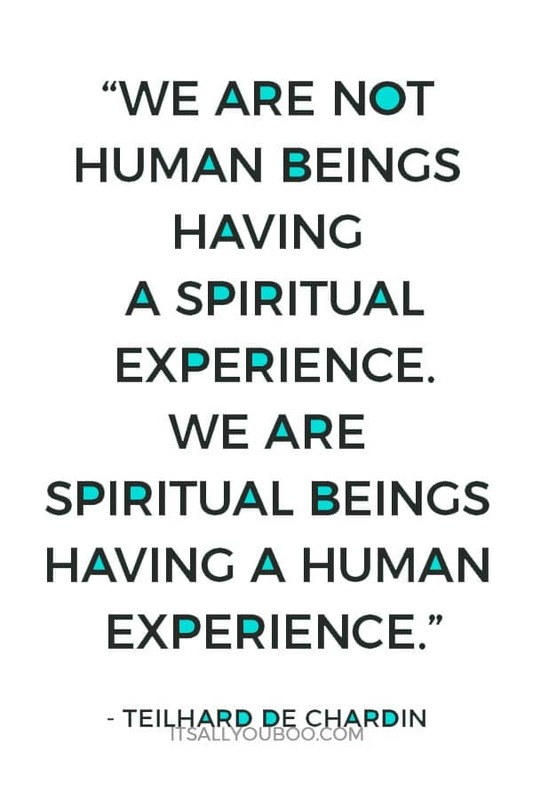 As mentioned earlier, you are already a spiritual being. However, these tips will help you deepen your spiritual connection and build it into something practical and useful in your day to day life. And once you experience the impact a strong spiritual connection has on your life, you’ll be forever changed! Have you found this helpful? Share your experiences! What are you going to do explore and develop your spirituality? How will you become more spiritual? Misty Sansom is a writer and coach who teaches people how to find their purpose and bring it to life. Her work has been featured on the Huffington Post, the Daily Guru and MindBodyGreen, covering personal growth, personal development, intuition, and of course, finding your purpose. Through her online tools, ebooks and articles, she helps you find clarity on who you are and what you want out of life. Want to find your purpose profile? Take the free quiz here: www.mistysansom.com. Great list! Spirituality is definitely a personal process. 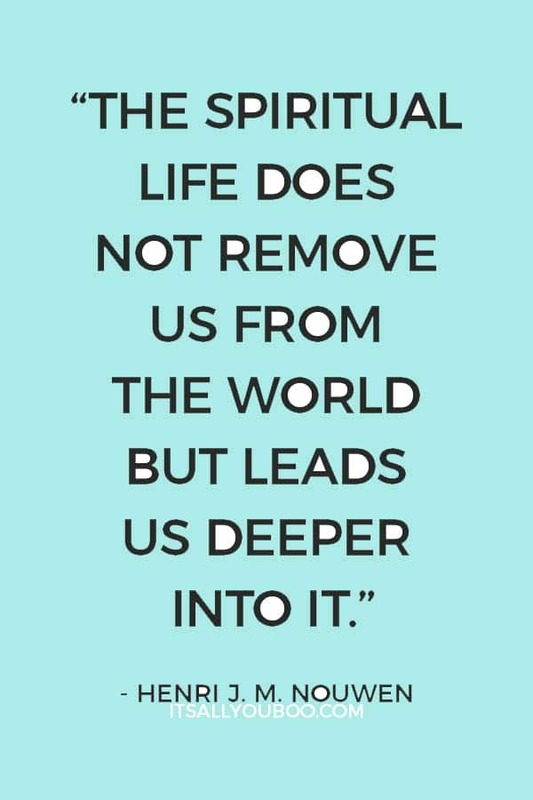 Absolutely, that connection does so much for our sense of wellbeing and understanding toward others. You really feel the difference! This is a great read! It is an extensive list on how to be spiritual. I like what you said that living in purpose means being spiritual as well or consciously doing the work your soul came here to do. Such a thought provoking post. I love reading about exploring one’s own self. Every point that you have discussed is deep and practical. Thanks for sharing. Becoming more spiritual was never really a goal of mine but I might try it! I love the tips about becoming introspective and quieting your mind. I definitely need to work on those! Sometimes I just go through the motions of the day without any reflection and that doesn’t feel good. And after this long list of spiritual advice, I can add the most important think – become most spiritual by not judging others who are not spiritual! Or not judging others at all! Absolutely – everyone has their own path. Thanks for sharing! This is such a fantastic post with great tips. I am trying to be more spiritual but need to focus more on quieting the mind and living in the present. I really need to slow down and take the time to breathe. I’m going to try some what you mention too. Thanks! Thank you, Christine! I love your focus on being present – such a big and important part of the equation. That in itself is a wonderful way to cultivate spirituality; a quiet mind and being in the moment. I’m excited to hear how you go! I like how you included finding your life’s purpose to being more in-tune with your spirituality. I think it is essential to know what your purpose is in life to find out how spirituality best fits with you. I also like journaling as a process to become more spiritual and to even be in tune with your own soul. I think it’s important to be careful about what you let into your mind. I am careful not to judge others, but I also avoid philosophical thinking as much as possible. 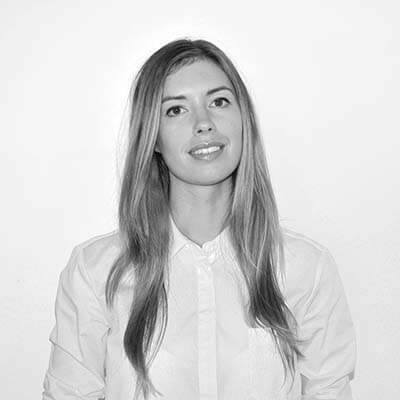 Hi Ola! Yes, you have to go with what feels right to you. Thanks for sharing! These are all great pointers to help to be more spiritual and to be happy. I think I am going to read more about it and start journalling too. I have to say, I’d never really thought about becoming more spiritual but it really was because I found so overwhelming. You’ve broken it done beautifully and it’s really thought provoking. Journaling is very therapeutic. Personally meditation has been very much effective in growing my spirituality. It is very calming and I feel more at peace. I needed that reminder you are a spiritual human being, having humans experience. I’m making this into my phone wallpaper and pull it on days I feel my faith wavering. I’m so glad this was a great reminder, Maggie! Such a great idea – I’m a big fan of keeping those reminders close at hand. Thank you for sharing!